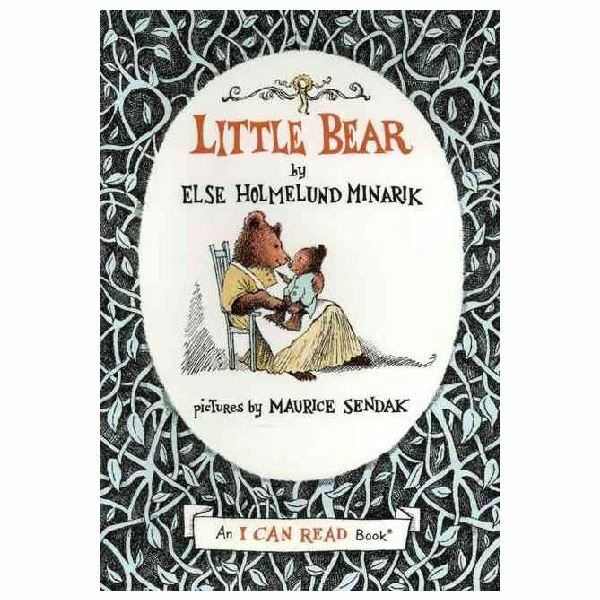 Little Bear by Else Holmelund Minarik is an early reader book for kindergarten or first grade readers. It consists of four short stories about the main character, Little Bear. The following activities for Little Bear are flexible enough for you to select according to your classroom needs. Pick and choose the vocabulary you will share with your kindergarten or first-grade students from each of the four Little Bear stories to use in activities before and after reading. according to the first and second letters in the words. Blending Letters Type the vocabulary words on a sheet of paper. Ask students to browse through the list of vocabulary to identify consonant blends, such as ch, sh, and th, and practice pronouncing the words and the blend sounds. Parts of Speech Practice Pre-teach this activity by providing a definition of a noun. Students will then practice using nouns by drawing a picture of a person, a place, and a thing on three separate index cards. Next, students will use the three noun pictures to write a simple sentence. For variety, ask students to trade their cards with another student without offering an explanation of the pictures. Students will write the sentences and read them to each other. Ask them to pick out the nouns in the sentences. Character Traits Ask students to describe each of Little Bear’s friends in the story “Birthday Soup." Tape a picture of a cat, duck, and hen on the board. Beneath each picture, write the physical descriptions. Compare the lists for common traits. Follow this activity with pictures of Mother Bear and Little Bear. Ask students to compare their physical appearance, but also to describe how they act in the stories. Cause and Effect Students will read each of the following sentences from the story and decide which part is the effect (what happens) and which part is the cause (why it happened). Little Bear asks for a coat because he is cold. Mother Bear made snow pants for Little Bear because he wanted to play outside. Little Bear made Birthday Soup so his friends would have something to eat. Little Bear did not wait for Mother Bear since he didn’t know where she was. Little Bear wore a space helmet because he was going to the moon. Since Little Bear jumped from a tree, he came down with a plop. Little Bear could not sleep because he was wishing. Mother Bear told Little Bear a story so he could fall asleep. Sequence Have students choose one of the four stories and demonstrate the sequence of events by illustrating a comic strip. Students need only fold a plain sheet of paper into four squares, outline the cross section with a crayon or marker, and fill in the squares with events from the story in the order they occurred. Follow up reading and writing lessons with these fun activities for Little Bear. Space Adventures Students will make space helmets from shoe boxes, chenille stems, and acrylic pom-poms. Once the helmets are on, let student imaginations take flight. What are their observations about space, the moon, or some distant planet? Does it remind them of Earth? Students can use this play time to improve how to describe, how to compare and contrast information, and draw conclusions based on their imaginary surroundings. Soup Kitchen Provide students with a cut-out of a stew pot and ask them to draw their ingredients into their very own stew. They must come up with a name for their stew and describe how it would taste. Place these soup recipes on display and ask students to ‘sample’ other soup flavors. Ask them to critique each other’s food and explain why or why not they would like to taste the soup. With these activities for Little Bear, your students will develop necessary language arts and reading skills while cultivating a joy for reading. Minarik, Else Holmelund. Little Bear. Harper Collins: New York, 1985.